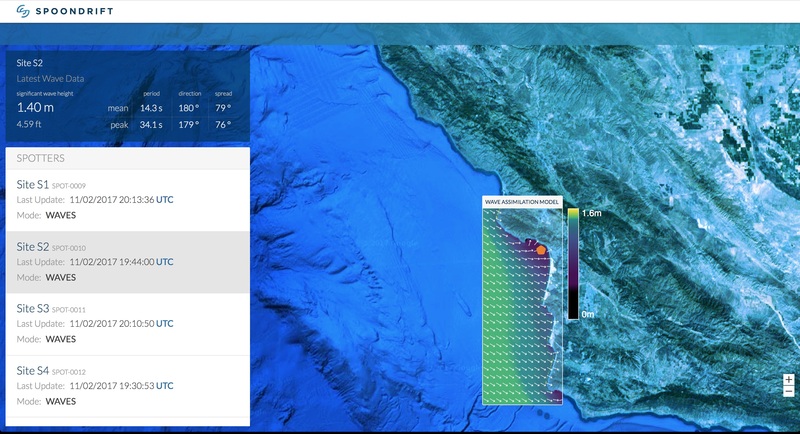 I worked with the friendly and dedicated team at Spoondrift to design and build an Angular frontend for their revolutionary new ocean wave measurement device. 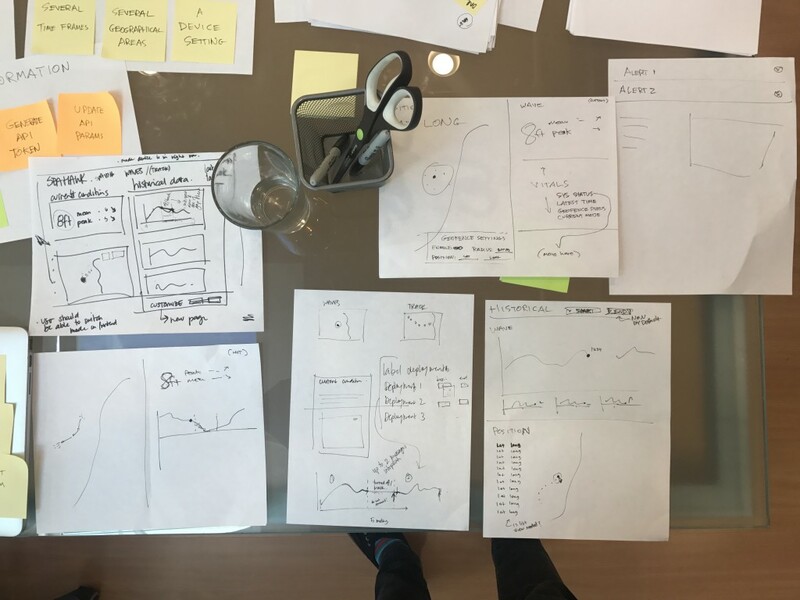 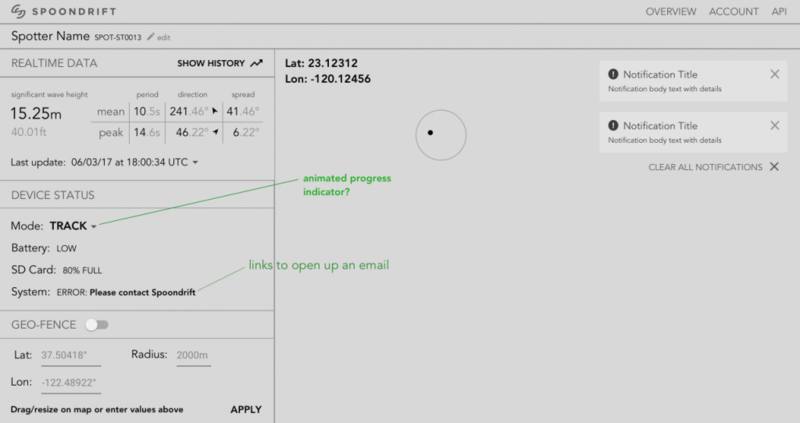 The process was a complete design-build, with a re-imagination of their dashboard UX and UI. 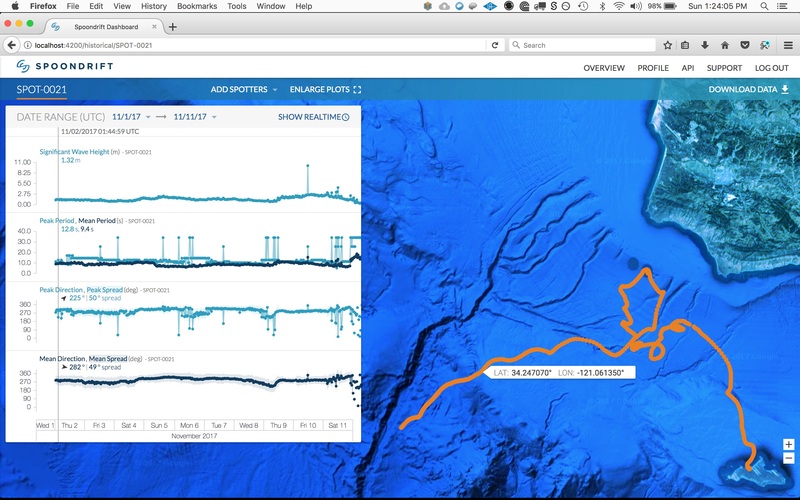 A second project added a simulated wave data overlay to the dashboard map, helping Spoondrift show off the wealth of information their sensing and machine-learning system provides about our marine environment.